Browse amaranth-seeds suppliers by country and region. Short on time? Let amaranth-seeds sellers contact you. 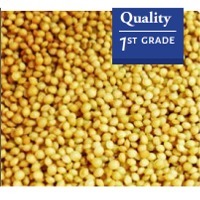 Selling best quality of Amaranth, also selling flour form as well. 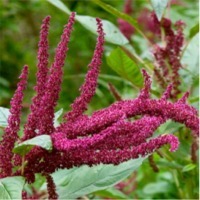 Organic Amaranth Seeds : Product Code: Fwam001 Origin: India Product Description: Amaranth Seeds Are Derived From The Annual Flowering Plant Amaranthus Caudatus. Product Is Organically Produced And Processed According To Current Good Manufacturing Practices, Haccp Norms And Regulations Npop. Nop & Eec 834/2007. Product Is Naturally Fumigated Through Ecoi Processing Technique. Ingredient Statement: 100% Organic, Certified For Npop, Nop & Eec 834/2007 Standards. Dehydrated Aguaymanto : Native shrub, known since the time of the Incas. Its small fruits, of spheroidal shape and golden color, are protected by an inedible shell. Of exquisite aroma and peculiar bittersweet flavor. Benefits This fruit is a natural source of antioxidants and contributes to the protection of cells. It is dried and dehydrated, so that its nutrients can be enjoyed throughout the year. Rich in vitamins A, B12 and C, proteins and phosphorus, essential for the growth, development and correct functioning of the organism. It is recommended for people with diabetes of all kinds and fights problems of the prostate thanks to its diuretic properties. Because it is digestive, it helps prevent cancer of the stomach, colon and intestine. Amaranth / Kiwicha : It is a native plant of Peru and in the high regions of Ecuador, Bolivia and Argentina. It preserves about 1,200 varieties of plants, which are still found in the Andes. Its flowers are beautiful, eye-catching and can reach up to 90 cm. It develops at an altitude between 1,400 and 2,400 meters above sea level. It was cultivated since time immemorial, according to researchers since before the Incas and has been around for 4000 years. It is presumed that it was used in its religious rites, also valued for its medicinal and nutritional properties. At the time of the conquest it was forbidden because it was part of the Inca rituals, for that reason they disavowed its use because they considered it sacrilegious. On the other hand, this product has a great nutritional value, similar to quinoa. Benefits Of The Kiwicha : According to the experts, 100 grams of Kiwicha contains twice as much calcium as the same amount in milk. Also the grain contains phosphorus, iron, potassium, zinc, vitamin E and vitamin B complex and proteins and a high level of leucine. It is found in many parts of Peru, however the genetic material of the species is conserved in certain regions and its stations such as K'ayra in Cusco, Canan in Ayacucho, Baños del Inca in Cajamarca, Santa Ana in Huancayo and Tingua in Huaraz. Due to its great importance, it was considered by Nasa as CELLSS (Ecological Controlled Life Support System) and as food. That is why it is considered within the space program. With regard to the benefits of Kiwicha these are endless, but in general terms this plant helps regulate kidney failure, constipation, liver failure, osteoporosis, high blood pressure, diabetes, among other conditions. From the Kiwicha plant seed can be used to prevent colon cancer and is an excellent food to be consumed by people suffering from some kind of cancer, as well as being an excellent digestive. Peanut kernels, sesame seed, amaranth seed. Amaranth seeds, flax seeds, sesame seeds. Sesame seeds, amaranth, flax seeds & linseed, soybean, dehydrated onion. Amaranth seeds, flax seeds, cumin seeds, fennel seeds, mustard seeds, coriander seeds, fenugreek seeds. Maca, coca tea, quinoa, camu camu, lucuma powder, cacao, yacon, mesquite, amaranth, sacha inchi, brazil nut. Meek Edu Care Pvt. Ltd.
Amaranth seeds, flax seeds, linseed, cassia tora seed, yellow millet, jatropha, sesame seed, cassia tora gum, cassia tora powder, moringa seed, castor seed, barley, cotton seed, white musli (chlorophytum borivilianum), dried aamla (dried phyllanthus emblica), pongamia (karanj seeds), maize, wheat, wheat flour, lentil husk, rice husk, wheat bran, rice bran, jatropha oil, castor oil, & other agro, herbal, oil seeds & cattle feed products.